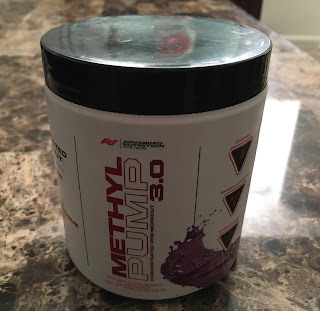 Methyl Pump 3.0 is one of my latest favorite pre-workout supplements. It does provides me with energy, mental focus and pump when I use it. Just as the label promises. Flavor wise, is pretty good. I like the Grape Flavor one. It is sweet, but doesn't give you a sweet after taste like other pre-workouts i have tried. Methyl Pump 3.0 dissolves real easy too, a couple of shakes and it is ready to go. It is a great product, but the greatness matches the price at $55.99 for Gold GNC members and $69.99 for non-members. It does comes with 60 servings per bottle or $1.17 per serving. Not bad because this workout product (Methyl Pump 3.0)really delivers what it promises. Adults mix 1 serving (one scoop) with 6-8 oz of water 20-30 minutes before working out. Do not take more than 1 serving daily. This product should not be taken together with any other product containing caffeine or any other stimulant. Do not take within 6 hours before bedtime. In conclusion Methy Pump 3.0 is a pretty good pre-workout supplement. It contains caffeine, so it is better to take it in the morning or noon. Not for a late night workout. It is pricey, but it is worth every penny. I would recommend this product to a friend or family member.